Alan M. Voorhees was one of this nation’s pivotal figures in city planning and transportation concerns. From Atlanta to Zurich, Alan M. Voorhees set the pace in initiating a myriad of ventures related to planning and transportation. A list of the many projects piloted by Mr. Voorhees reflects the visionary role he took in creating blueprints for change, including development of planned cities such as Columbia, Maryland, and Canberra, Australia, and metropolitan transit systems such as the Washington Metro. In 1961, he founded the transportation consulting firm of Alan M. Voorhees & Associates, Inc., which grew to include ten offices in the United States, as well as offices in Caracas, London, Melbourne, Sao Paulo, Toronto, and Zurich. With Mr. Voorhees steering the course, the firm planned many of the metropolitan transit systems built in the free world in the 1960s and 1970s, including those in Washington, DC, and Atlanta, Georgia. In 1967, his firm merged with Planning Research Corporation, where he continued to work in transportation planning. In the late 1970s, Mr. Voorhees moved his career into a new area to become dean of the College of Architecture, Art, and Urban Sciences at the University of Illinois-Chicago. In 1980, Mr. Voorhees’ multifaceted interests took him in new directions. He founded Atlantic Southeast Airlines (ASA), which has become one of the most successful commuter airlines in the country. ASA, now a subsidiary of Delta Air Lines, Inc., is part of the Delta Connection with hubs in Atlanta and Dallas-Fort Worth. 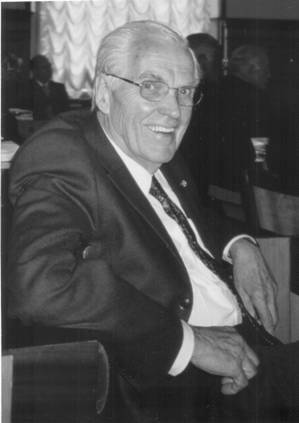 Throughout his prolific career, Mr. Voorhees contributed extensively to the field of planning, serving as president of the American Institute of Planners and chairman of the Transportation Research Board, the largest unit of the National Academy of Sciences. He was the recipient of numerous awards and received honorary doctoral degrees from Rensselaer Polytechnic Institute and Voorhees College. Mr. Voorhees was born in New Brunswick, New Jersey, and was a veteran of World War II. He received both a silver and bronze star for his distinguished service in the Pacific as a Navy Frogman, the precursor of today’s U.S. Navy SEAL.